When at Disney world it is not unusual to have a “rest day” or two. These are the days that you don’t go to the park. Maybe it’s your day of arrival or departure, or maybe it’s just your day to relax at the resort. Just as we do at the theme parks, we want to make sure we take advantage of everything the resorts offer as well. 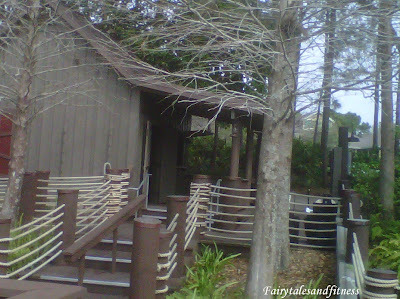 The hut at Ol' Man Island at Disney's POR. This is were the cane pole rental and worms are located. 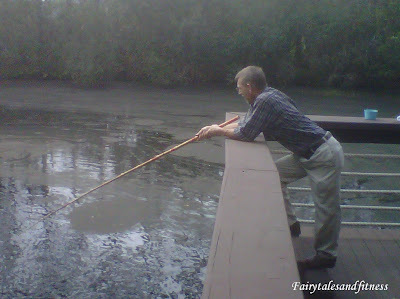 Cane fishing is also offered at Disney’s Fort Wilderness. What an inexpensive way to have some fun at Disney! If walking around the theme parks all day wasn’t enough of a workout for you, you can always find ways to work out at your resort without having to spend time at the fitness center. 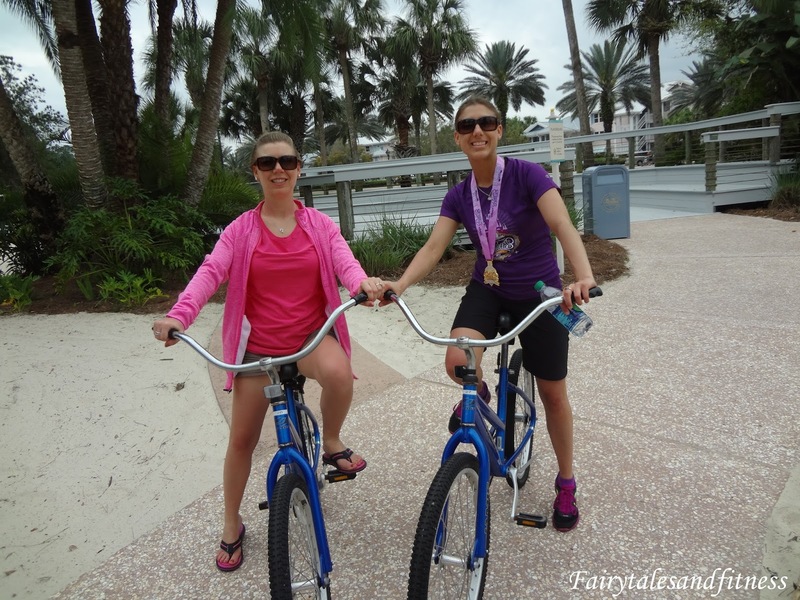 During one of our Disney trips this year, our family stayed at Old Key West Resort where we rented bicycles for an afternoon. Our family loves to bike, so this was actually an activity we were looking forward to doing. the Princess Half Marathon and she still wasn't tired yet! We rented the bikes from Hanks Rent and Return located behind Olivia’s restaurant. We took a nice ride around the resort and then went out on the nature path that runs along the waterway that leads to Down Town Disney. We saw many boats floating down the waterway during our ride. The nature path also connects Old Key West Resort to Disney’s Saratoga Springs Resort, so we rode all the way over there and then turned ourselves around. We then started to make our way over towards the Down Town area. Since some of this path surrounds a golf course, there are some areas that you are not allowed to ride the bike on and you do have to be on the lookout for golf carts crossing your path. Unfortunately it started to ran as we headed to DTD, so we decided to turn around and head back to the OKW Resort area. By the time we got back on the nature path, that unpredictable Florida rain had stopped and the sun came out again. O’ well, we still enjoyed our ride. We got to explore more areas we would have never seen any other way ( unless maybe we decided to jog), and we did get a little more exercise that day! This is the path between Old Key West Resort and Downtown Disney. In addition to renting traditional bikes, 4 person surrey bikes and smaller bikes with training wheels are also available. Free bike helmets are available with each rental. Bikes at Old Key West Resorts can be rented at Hanks Rent and Return. Cost is $18 for a full day rental or $9 for one hour. 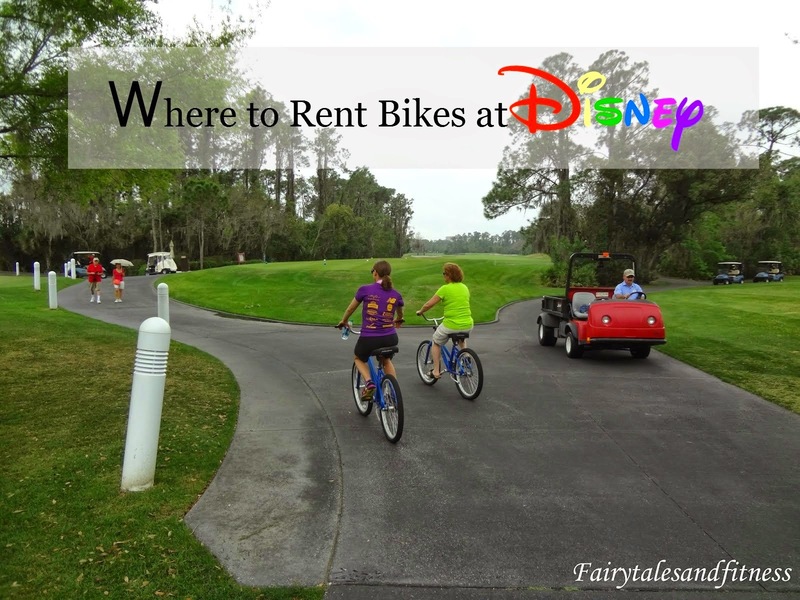 Other resort locations that rent bikes include Fort Wilderness, Boardwalk Inn, Beach and Yacht Clubs, and Saratoga Springs. 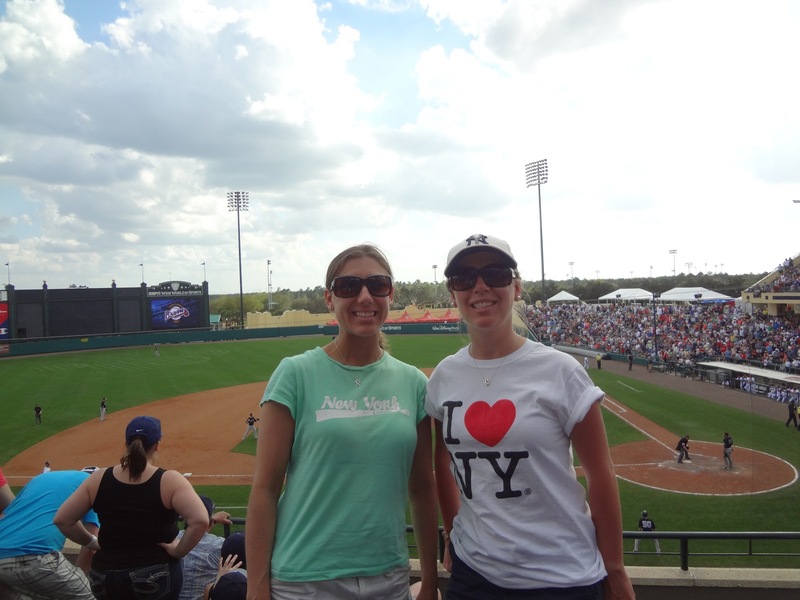 A Great Day for a Baseball Game at Disney! 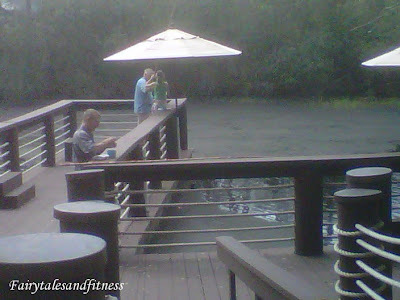 Ever wonder what else there is to do at the Walt Disney World resort outside of the four theme parks? If you visit during the end of February or the month of March, you will have the opportunity to watch the Atlanta Braves play a pre season baseball game. When we traveled to Disney in February for the Princess Half Marathon weekend, that’s exactly what we did! We looked into this venture months ahead of time. We were excited to see that the Braves would be playing “our team” the New York Yankees, so we promptly ordered our tickets online. Even though this was a pre season game, these tickets sure go fast! If the game itself wasn’t entertaining enough ( and it certainly was), we were surely kept entertained between innings. They played trivia games with the crowd, had various contests among the spectators who volunteered, gave out great prizes like park tickets, and of course they had the “kissing cam”. We couldn’t ask for a better day or better weather! 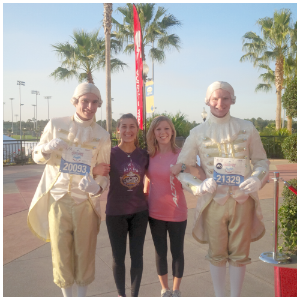 We all had just run Disney’s Royal Family 5K race that morning and this was a perfect way to relax for the afternoon. And our Yankees did win by the way! Worth every Penny! Getting to Champion Stadium at Disney’s ESPN Wide World of Sports Complex. If you have your own vehicle, parking is free at the sports complex. If you want to get there quickly, you may want to call a cab a head of time. My sister and I did not have a good experience the last time we ordered a cab at Disney, so we decided on taking Disney transportation. We were staying at Disney’s Old Key West resort and the concierge assured us that we would have no problem using Disney transportation to get to ESPN. If you are relying on Disney transportation take this advice and leave in PLENTY of time. We left our resort by 11:30 am for a game that started at 1:05 pm. The plan was to go from Old Key West (OKW) to Down Town Disney ( DTD). We decided to take the boat to DTD instead of waiting for the bus. Once we got off the boat we were already at the end of DTD near Planet Hollywood and had to make our way to the front of the Market Place ( because usually the buses near Planet Hollywood don’t start stopping there this early, at least this is what we were told last month when we were there). So we get all the way to the front of the Market place, just to find out that those bus stops were being refurbished and that we had to walk all the way back to where we just were to wait for the buses at the stops near Planet Hollywood. Uggh! So we were told by the concierge at OKW that we would need to get a bus to either the All-Stars resort or Caribbean Beach Resort because these are the only resorts that the ESPN bus will stop at. We see an All Star bus pull up, so that’s the one we get one. The sign on the bus says “All Stars” but we do not go straight to the All Stars. We stop at Typhoon Lagoon first. Not one person on that bus knew that we were going to Typhoon Lagoon, so people were starting to get a little antsy. The girls that we were sitting beside decided that they might as well get off here at Typhoon Lagoon ( even though they were really heading to the All Stars), but the driver never even stopped. We just looped around the parking lot. So we then finally get dropped off at the All Stars Resort. Once there, we waited and waited for an ESPN bus. They are few and far between. By this time, we met other families that were trying to get to ESPN as well. It seemed that it wasn’t easy for anyone to get there. Finally an ESPN bus arrives. We think we are on the home stretch to the stadium, but no. The bus driver decides that he needs to go to the Caribbean Beach Resort. Really? So we back track and make our way to Caribbean Beach ( which was not on the bus sign by the way, it only said ESPN). We can’t pull up under the resort portico right away because there is a delivery truck in front of us making a delivery. By this time the passengers are really getting antsy and people start making jokes about our situation. Those of us who were going to the baseball game were okay on time, but still cutting it a bit close. There were other families on the bus who were trying to make it to a soccer game and they were starting to panic ( the soccer game started before the baseball game). Finally we get a chance to pull under the portico and pick up passengers. Turns out not one person got on or off. So that was a waste of about 10 minutes. We are finally on our way to the ball game. We get dropped off in the parking lot and then have another 5-8 minute walk to get to the stadium. We did make it before the game started, but there were a lot of empty seats until after the first inning. As people started filling in the seats, we could wear them talking about how long it took them to get here. They must have came the same way we did! So the moral of the story is if you are taking Disney transportation to an event in which you need to be there at a certain time, make sure you leave in plenty of time. We actually thought that we did leave in plenty of time, but we did not account for the extra time it would take us to walk through DTD and back again because of the closed bus stop, and we didn’t know that the buses would be making extra stops other than the ones that were posted. Now normally during a Disney race weekend, there are plenty of buses that will take you right from your resort directly to the ESPN complex. This is because the Health and Fitness expo is usually held in that location. This year for the Princess Half Marathon, the expo took place at Coronado Springs. So I wonder if this is why transportation to ESPN seemed so complicated this year? Have you ever had complications using Disney transportation? Feel free to share your experience. Celebrate with a Disney Fireworks Cruise! 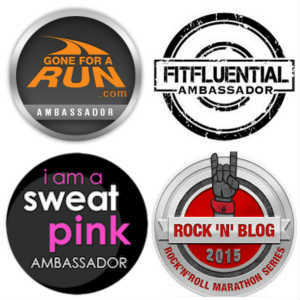 How are you going to celebrate an accomplishment this year? Whether it be a graduation, a wedding, a birthday, or a Run Disney event I have the perfect suggestion. How about hosting a Disney Fireworks Cruise? 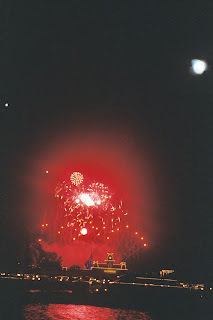 You can choose to watch the fireworks from Magic Kingdom which is called the Wishes Cruise or if you prefer Illuminations in Epcot, you can book a cruise for that as well. We hosted a Wishes Fireworks Cruise to celebrate with some of our friends and family one evening before our Disney Wedding. 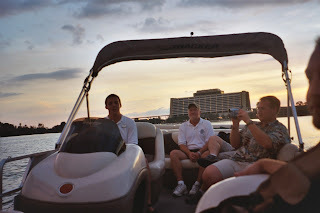 We had a specific time that we all had to meet at the marina behind Disney’s Contemporary Resort. Life jackets were provided for the little kids, and once we arrived on board snacks and drinks were provided. A friend of ours even brought champagne to share. Our captain for the evening was “Dave”. 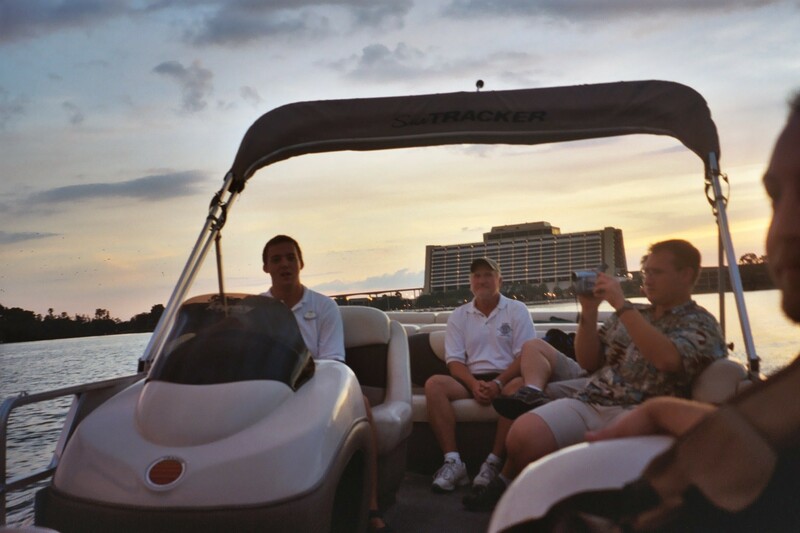 He sailed us around the Seven Seas Lagoon, played a little Disney trivia with us, and gave us some background information on how the Wilderness Lodge was built. I won’t give the whole story away, but the front of the lodge is supposed to resemble a very famous bear. Can you guess who? We also got to catch a glimpse of the Wedding Pavilion from the water. It looked like there may have been a ceremony going on because we could see candlelight in the windows. This was a special sighting because we would be getting married there in two days! As the sun had gone down, our captain parked our boat in front of the Magic Kingdom train station. We had a great view and the music was piped in. One of the little kids in our group even pointed out that he saw Tinkerbelle fly by. The following year we booked an Illuminations cruise to celebrate our one year anniversary. This time we met our boat at the marina behind Disney’s Yacht Club Resort. The captain took us for a cruise along Bay Lake and gave us some background information on the Epcot Resorts that we had gone by. Before too long we were anchoring our boat underneath the bridge at the International Gateway. Snacks and beverages were served on this cruise as well. We ate our snacks and watched the show. Seeing the show from on the water made it sound even louder and more explosive. It was a good show though. If you want to book a fireworks cruise there are several options you have. Do you want to watch Wishes or Illuminations? 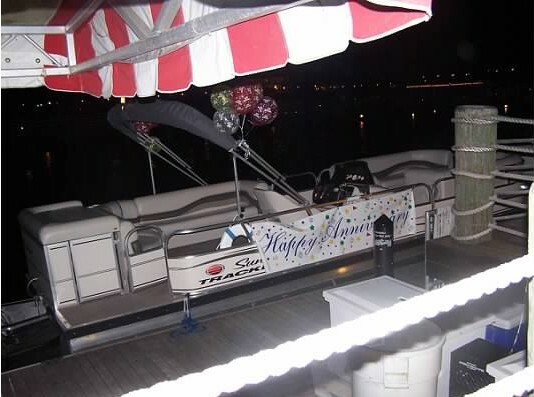 *If you choose Wishes, you can choose from a 21’ Tracker Pontoon boat that will accommodate 8 guests for $292.88 or a 25’ Tracker Pontoon that will accommodate 10 guests and pipe in the Wishes music on the boat for $346.13. 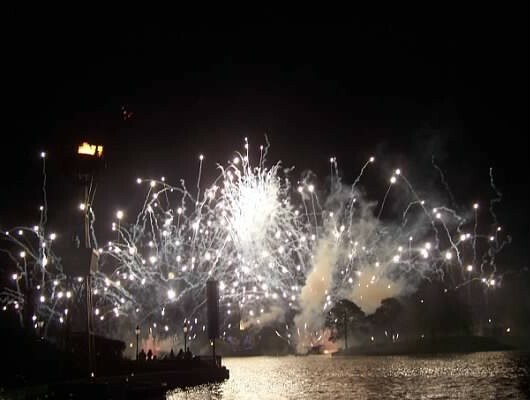 *If you choose to take the Illuminations cruise, you may have up to 10 guests on board and the cost is $325. Snacks and beverages are provided on each cruise but you can also order private dining from several Disney resorts at an additional cost. Other options for fireworks cruises include renting the Grand One Yacht which holds 18 guests, or the Breathless ( a 1930’s mahogany boat) that hold only 6 guest. *Prices at time of publication. 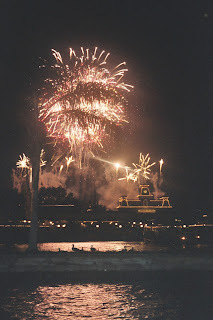 Have you ever done a Disney Fireworks Cruise? In what ways have you celebrated an event at Disney? 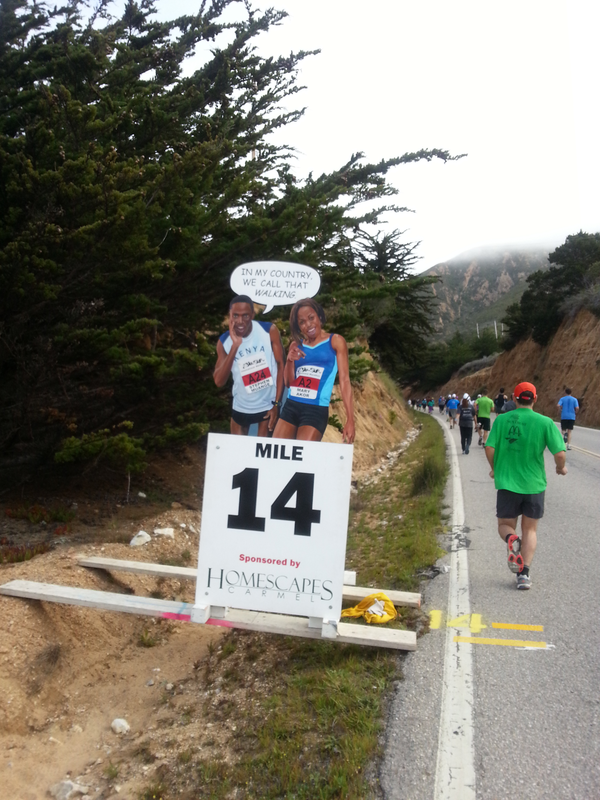 ﻿﻿ were given to runners who sported the best costumes. They included a lady dressed as Katniss Everdeen from The Hunger Games, A family dressed as Batman, cat woman, and batbaby, and my personal favorite was the child that was dressed as Ronald Weasley from Harry potter ( he didn’t have to try very hard as he already looked a lot like Ron even without the costume). In the spirit of Hollywood, I decided to wear my Marilyn Monroe shirt with my black running skirt to go along with my dad’s James Dean inspired tech shirt with a motorcycle on it. Since my shirt was not a tech shirt, I had reservations about wearing it during the entire race, so before the race started I decided to just wear my black running tank. I’m glad I made this decision. I think I would have been too warm with the t-shirt on, and running with the tank felt just perfect for the weather today. We didn’t have much time to wait before it was our time to start. I didn’t look at this course beforehand so I didn’t know what to expect. 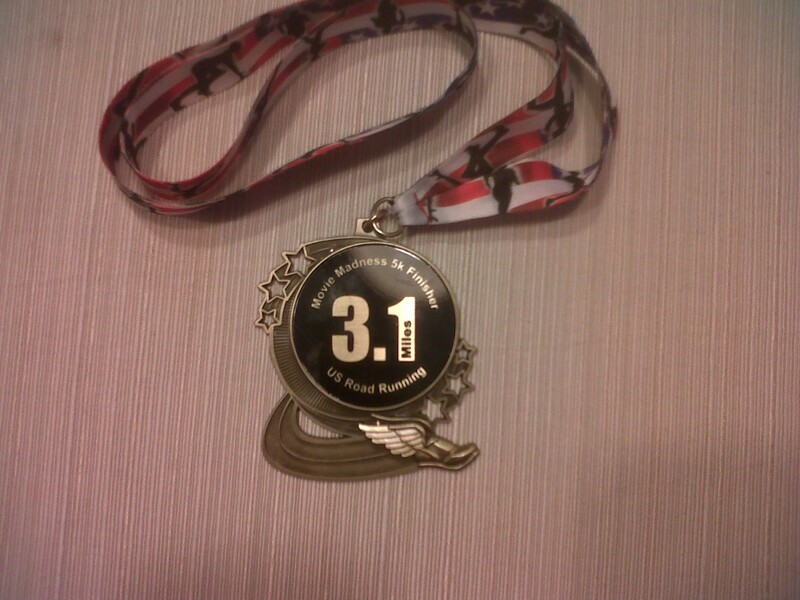 My goal time was to finish in 30 minutes. When we started and I saw that this course had some hills, I quickly change my goal time to 32 minutes. 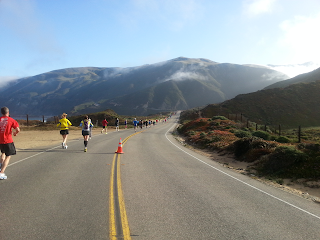 This race was an out and back, so I had the same hills to look forward to on the way back. I tried to just concentrate on the ground below me instead of looking at the distance in front of me. I feel like I kept a pretty good pace the entire time. I did set my Nike Fitness app so I could track my time and pace, but I didn’t turn it off right after the race, so It wasn’t accurate. As soon as I made it up the last hill to go back to the finish line is when I picked up my pace. As I got closer and could read the clock, I saw that it had just turned to 30 minutes. I pushed myself and crossed just a few seconds later. 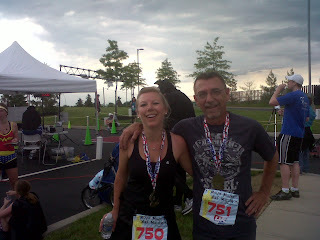 My official time was 30:25 which I was happy with. 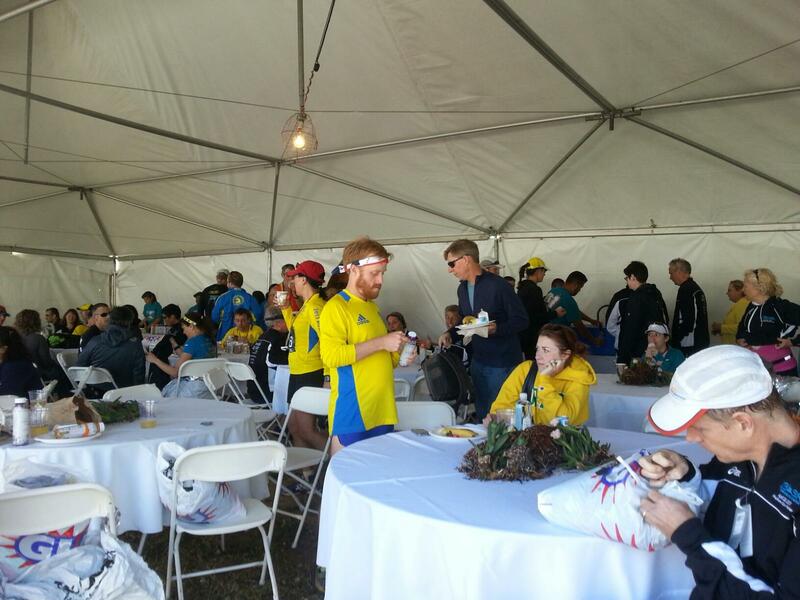 After all the runners had completed the course, they had the awards ceremony. I missed placing in my age group by just a few seconds. My dad on the other hand did an awesome job and placed first in his age group. 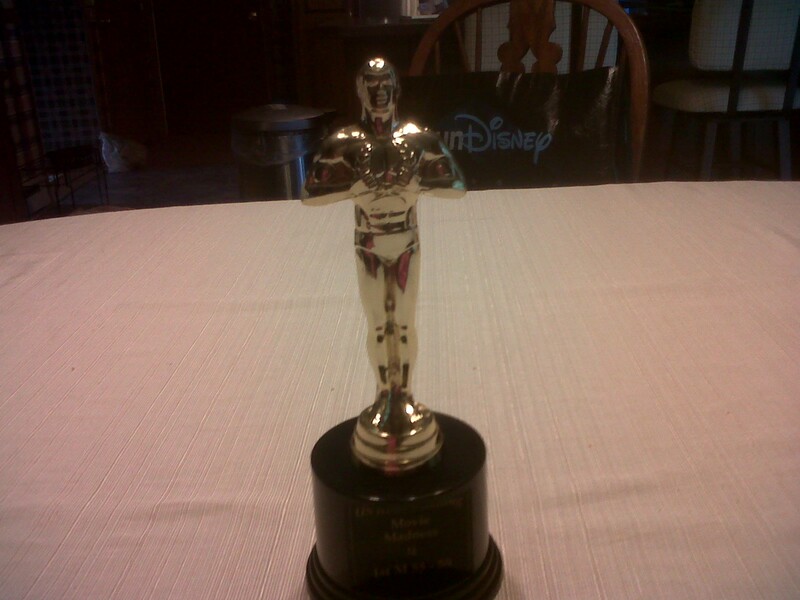 I’m so proud of my dad! 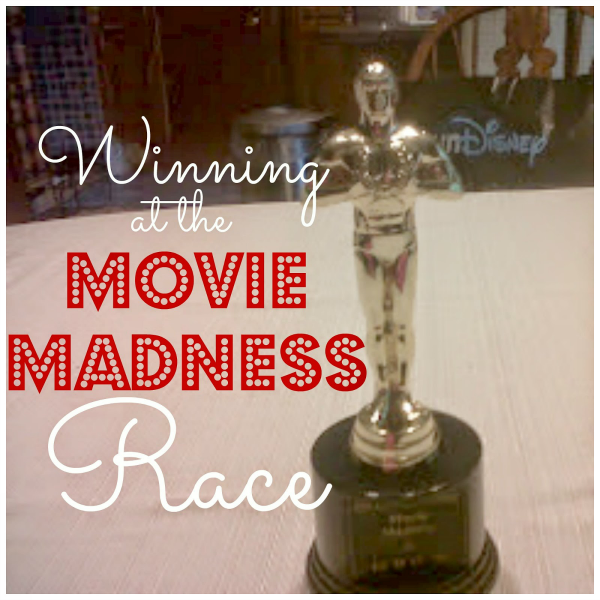 We both got medals and he received a movie madness trophy. Afterwards there was water and food for runners as usual. I grabbed a water, but I can never eat right after a race. We also got some great US Road Running tech shirts at registration. They had run low on the men’s tech shirts so my dad received a different running t-shirt at registration but was told that he would be mailed the tech shirt when they came in. We thought that was a good deal! This was the first time for us doing the Movie Madness Race. Even though it wasn’t a flat course, it wasn’t a bad race and we would consider doing it again. It was a great way to spend a morning with my dad doing something active! 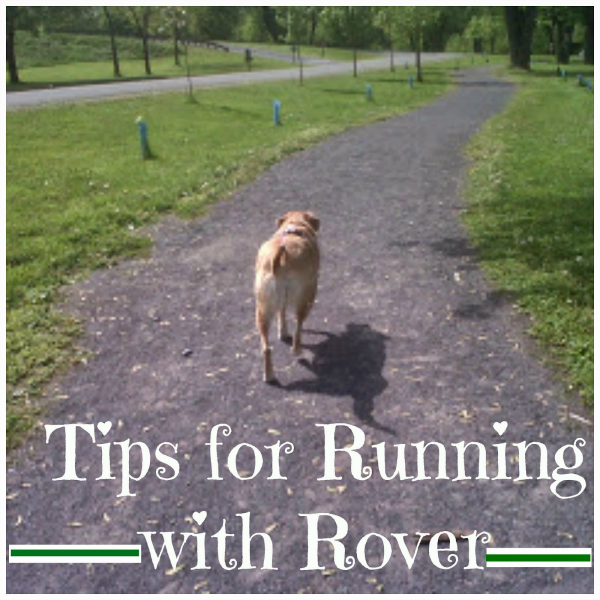 Do You Run With Rover? Believe it or not our pets are prone to the same ailments we are. They can suffer from Type II diabetes, bone and joint problems, heart disease, high blood pressure, difficulty breathing, arthritis, and the list goes on and on. Just like in humans, these ailments are associated with our pets carrying excess weight. Of course this weight can be managed by their diet, but getting enough exercise is key! 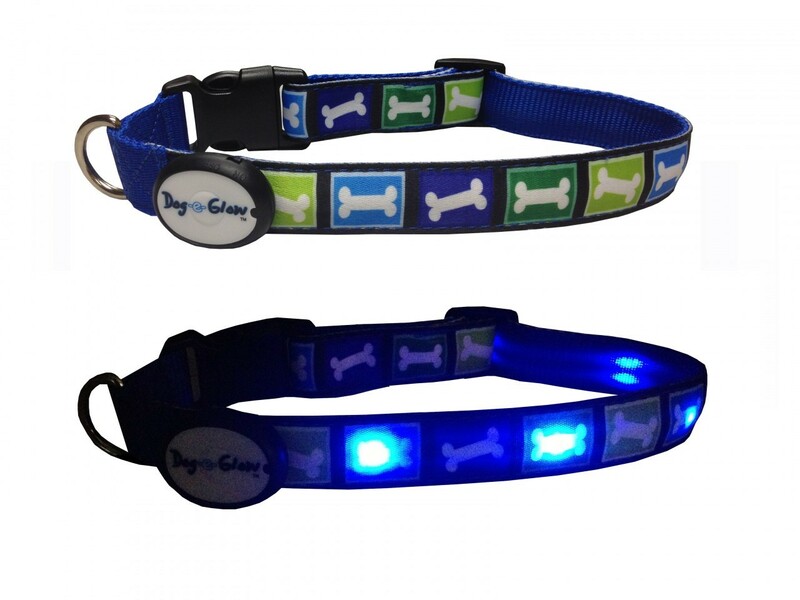 Dogs are naturally physical creatures so of course they love to run. Our Labradors literally do back flips when they think they are going out for a run or a w-a-l-k ( as we have to spell it in our house). They don’t even wait until we pick up the leash. As soon as they see us putting on our running shoes, they go bananas! They are doubly disappointed on the days they get left at home. If your dog didn’t make the list, don’t worry. 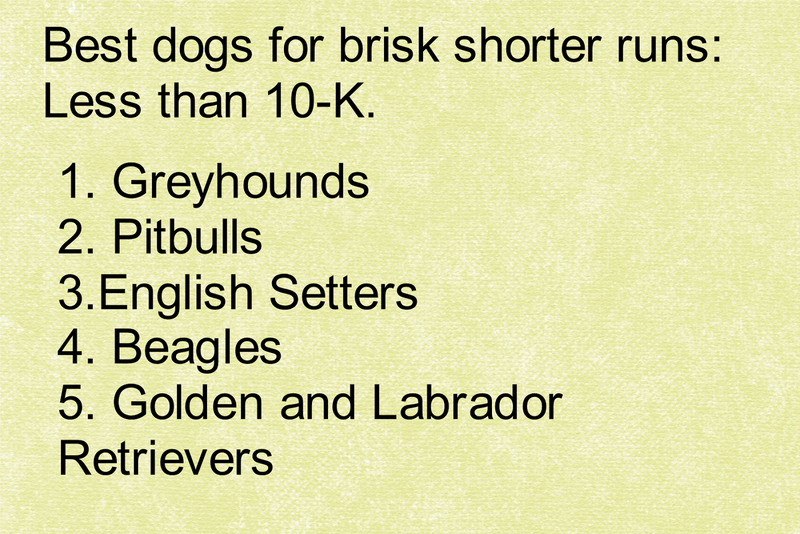 Check out Runner's World Running Dog List for the complete list. He or she may fall into a different category. Weather you run with your dog for protection ( no one should run alone), or you run with him as a companion ( because it’s nice to have a buddy), or you’re hoping to get him into shape too ( your dog will thank you for this), you still want to be mindful of the conditions. 1. 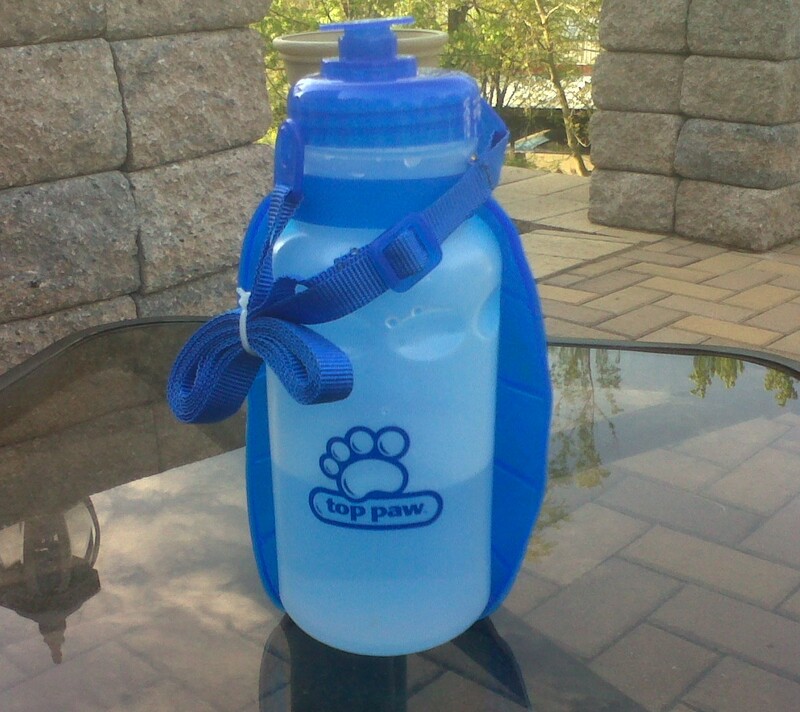 If you need to hydrate yourself during your run, don’t forget about Rover, he could use a drink too. I found these great water bottles at PetSmart for under $10. 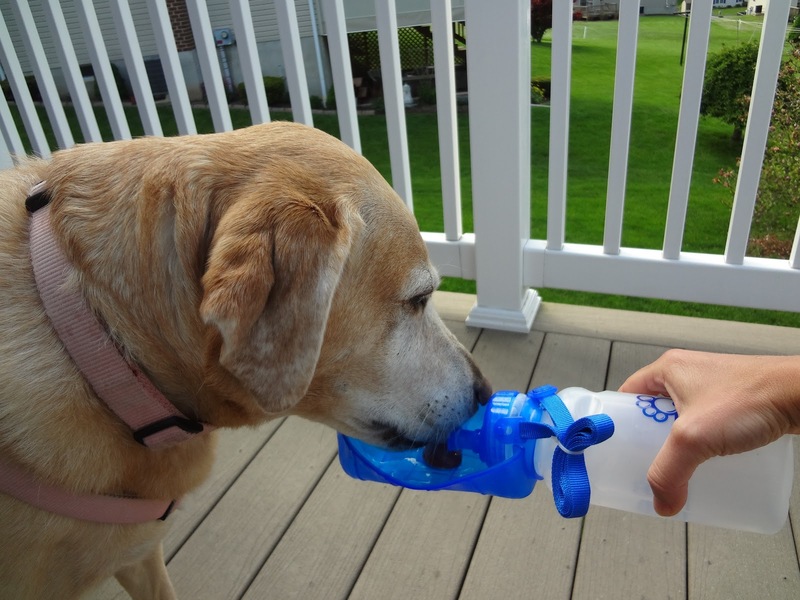 You can drink from the spout and then your dog drinks from the container that flips out. 2. Be cautious of the surface you are running on. When it’s really hot outside, keep your dog off of the blacktop or other paved surfaces. 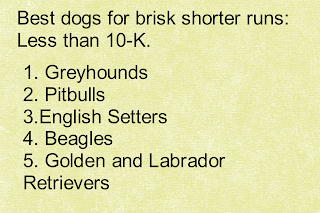 Also longer runs on trails that have bits of gravel on it often irritate paws. 3. Be mindful of your pets’ physical condition in general. 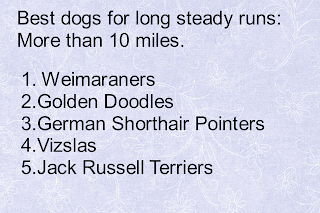 If you have a dog with lots of hair, they may make great running partners in cooler weather, but not so much in the heat. Also dogs that are overweight have a harder time regulating their body temperature therefore making it miserable for them to go out on a run or walk on a warm day. 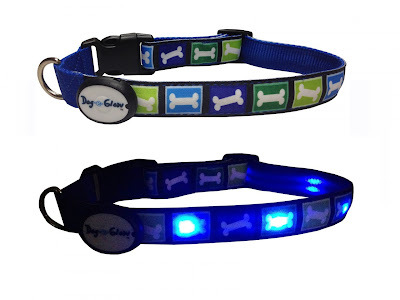 Take these dogs out after the sun goes down. 4. That brings us to the great give away we wanted to mention! 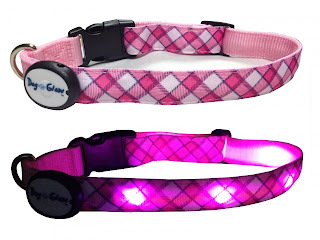 If you are walking your dog after the sun goes down, you’ll want to get your dog a Dog-E-Glow LED collar. “Like” them on their Wellbella facebook page. 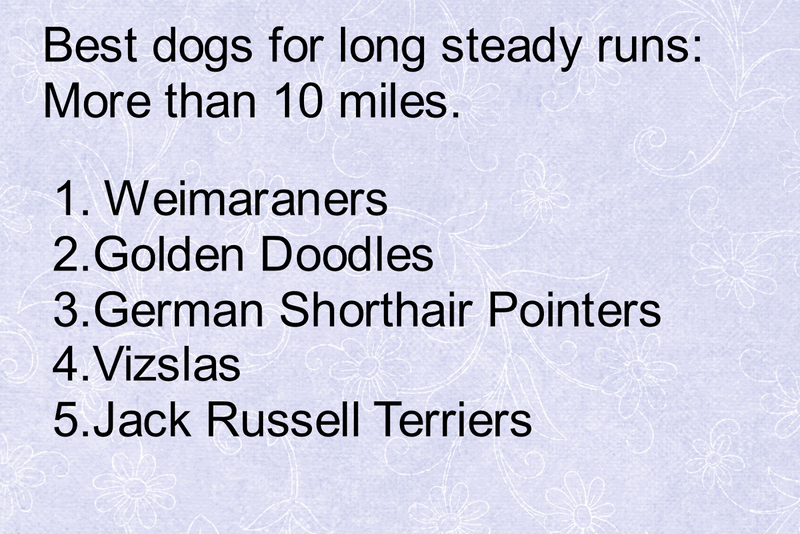 Let us know if you run or walk with your dog. Tell us what kind you have and how they react! My First time at Boot Camp! I woke up on Saturday morning to rain pinging my bedroom window and I wondered if boot camp for this morning would be cancelled. The instructor said rain or shine so I grabbed my yoga matt and was on my way. I remembered that there was a pretty large gazebo at the park and wondered if we would all gather under there. It rained during my entire drive there, but surprisingly stopped by the time I reached the park. This was my first time at boot camp so I didn’t know what to expect. I had met the trainer Nisan while out during a run one morning and I had met his wife at a Ladies Expo earlier this week. It was good to see them again and it was nice that they remembered me. Our trainer Nisan ( in the green) encouraging us during the relay. 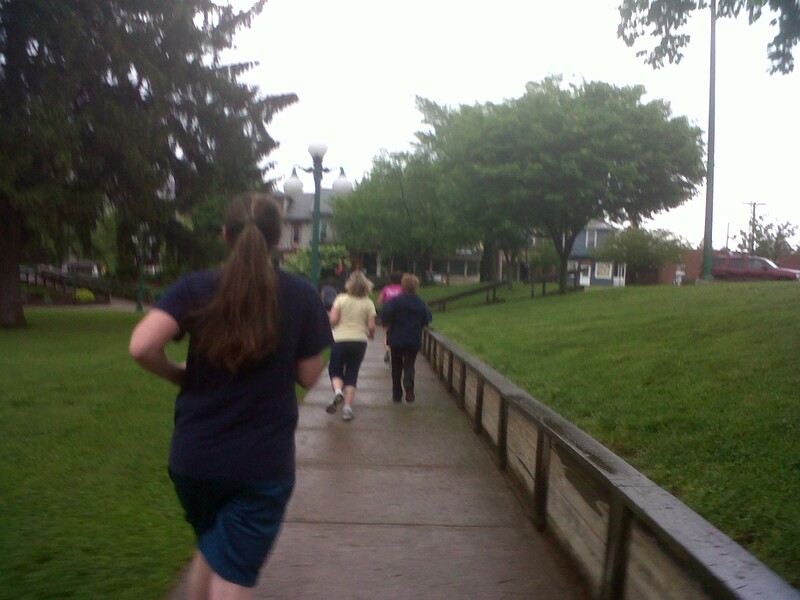 Our training started out with 3 laps around the park. I’m glad that I am already a runner because this actually felt good and not like a workout at all. We then gathered on the lawn and did some partner activities. The first one was where you faced your partner while holding hands (straight out) and one person would pull, while the other pushed forward. This activity was followed by a set of squat jumps. We then moved off the lawn and on to the parking lot where we did step kicks on the curb and then some calf lifts. We did a couple sets of these before going back in the park and doing wall squats and push- ups. It was then time for another round of running. This time we ran on the trail around the playground. This run wasn’t as much fun because we were running in wet mulch. It felt like we were running in sand, we were sinking in some areas. We ran this course two times in a row and then went back for one more round later in the session. 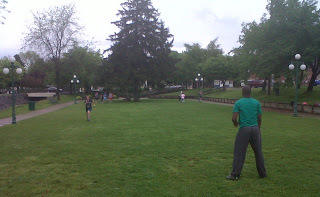 We went back to the lawn and did a team activity which we did as a relay. The objective was to run backwards on the lawn half way (until we got to the first light pole) and then we would turn around and sprint forward the rest of the way. When the first person finished, the next teammate would take their turn. It looked like it was a tie between the two teams. This was probably the most fun of all the activities. 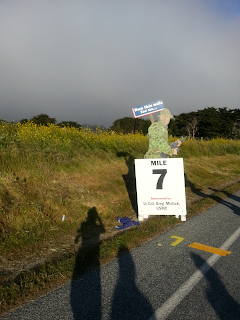 It was so encouraging to hear people shout for you as you were running and it promoted camaraderie. 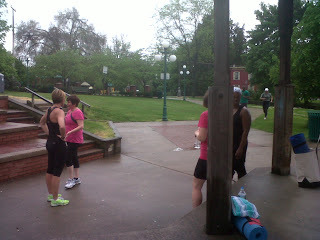 For our warm down we ran one last lap around the park and then met around the gazebo for some cool down stretching. A cool down at the gazebo. I think my first day of boot camp was successful. This was some of the most fun I’ve had on a rainy day (even though the rain held out during our session). I feel like I’ve accomplished so much before 9 am! Before we left the trainers offered us bottles of water, fruit, and granola bars. As a “Thank You” for coming to my first boot camp, I was also given an envelope with my name on it. When I opened it up I found that it was a gift certificate to a local restaurant. This was a delightful surprise! Have you ever participated in a Boot Camp session? 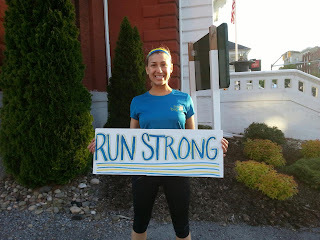 Rivertowns Marathon : May 4th 2013. 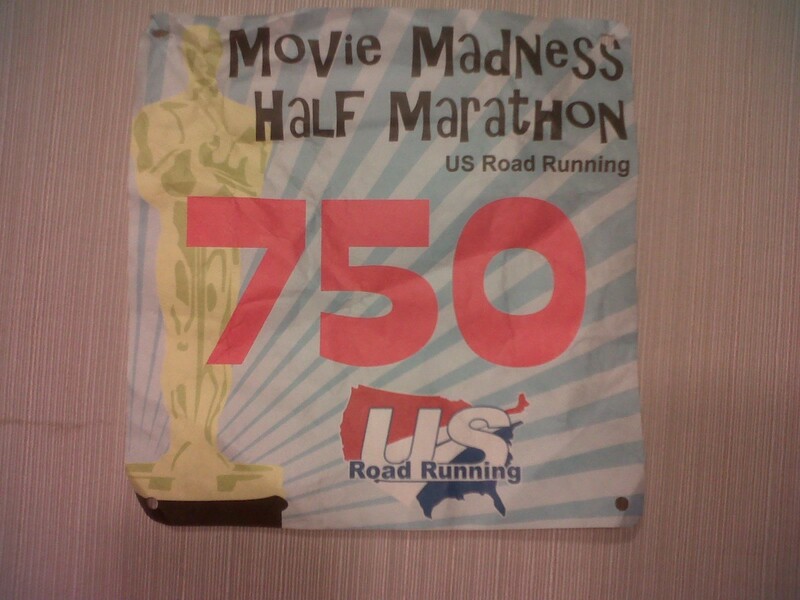 This would be my 5th marathon in 5 months! Seeing that this was one of the smaller marathons I’ve done, getting parked and getting to the start line was no hassle at all. Not even any lines at the port o potties! We were able to pick up our race packet and bib number the evening before, but we had to get our chip the morning of the race. I was invited to run this race because I was a Boston Marathon participant Even though the race was called the Rivertowns Marathon, I think it was somewhat to honor Boston. We got cool blue and yellow tech shirts that had 4-15-13 on the sleeve. At the start line the Race Director recognized those of us who ran in Boston. I met the other runner who ran in Boston, but unfortunately she did not get to finish. 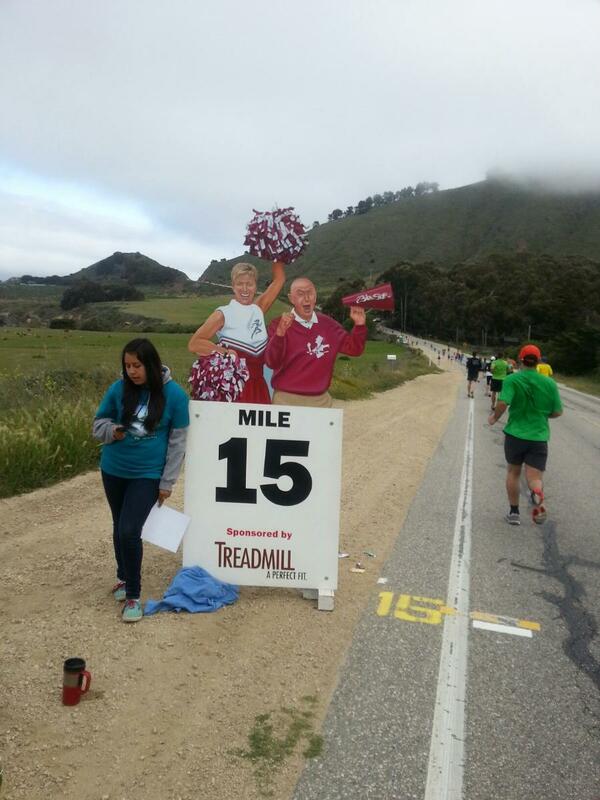 She said she made it to mile 25. Thank goodness she was stopped when she was. Some racers were wearing red socks to honor Boston as well. Right before the start of the race. 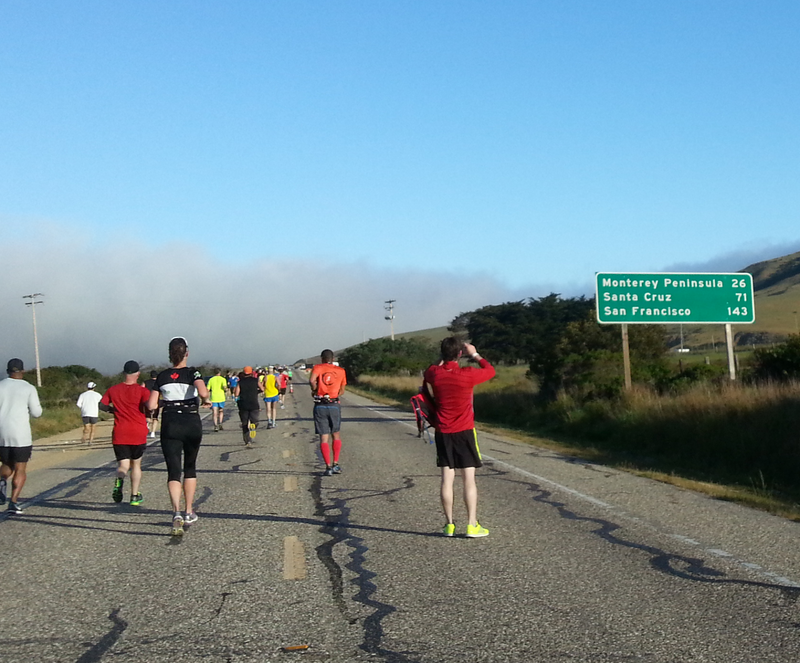 The race started at 7:00 am. 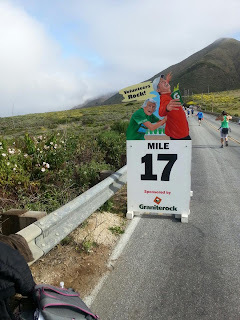 Having just completed my last marathon six days prior, I wasn’t sure how my legs were going to hold up because they were still a little sore. This ended up being more of a peaceful run for me. 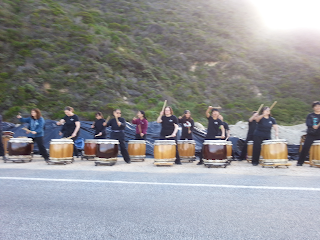 There was little entertainment and few spectators along the course. This run was an out and back, so after the halfway point we turned around and ran back to where we started. 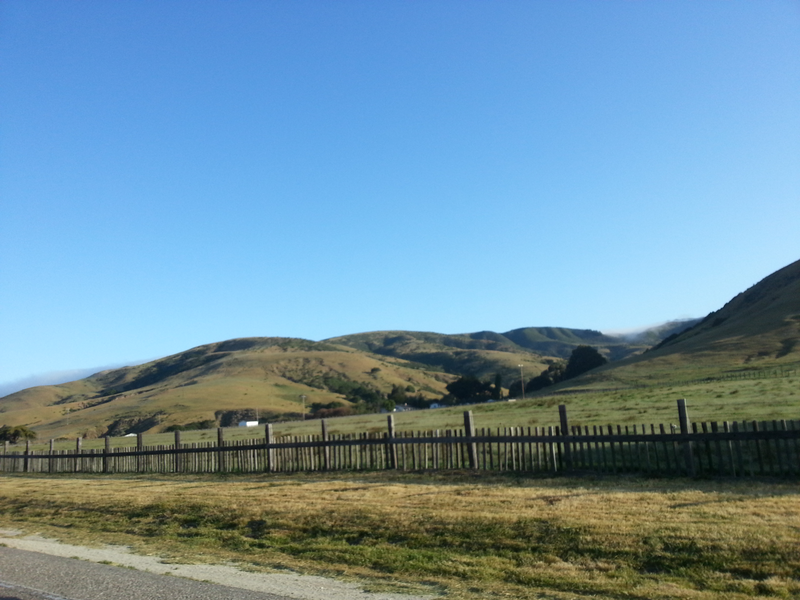 I like this kind of run because I know what to expect on the way back. Part of the run was on a trail so I needed to be cautious of my footing. Seeing that this was an out and back run, you would think I would have remembered the way back, but I got off course for a moment. 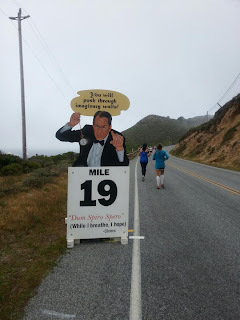 At one point there were no runners in front of me nor behind me. I followed a trail that led along the river, but I realized there were no markings and that I was going the wrong direction. I turned around and saw the orange markings towards the bridge. This took about a minute or so off my time, o darn! I didn’t take my own water for this race because there were plenty of water stops. I by passed some of the stations because those volunteers looked like they were preoccupied with things other than handing out water, and I didn’t want to have to wait. I finally did get water at a station close to mile 20. By this time my GUs were gone and I decided this was the time to pick up my speed (especially after losing some time off the trail earlier). When I got closer to the finish line, there were many more spectators . There was also a half marathon going on at the same time, and there were street vendors and entertainment in town which drew a large crowd. It is definitely more motivating once you see a crowd. I finished with a 3:50 time. That's me in the blue shirt. 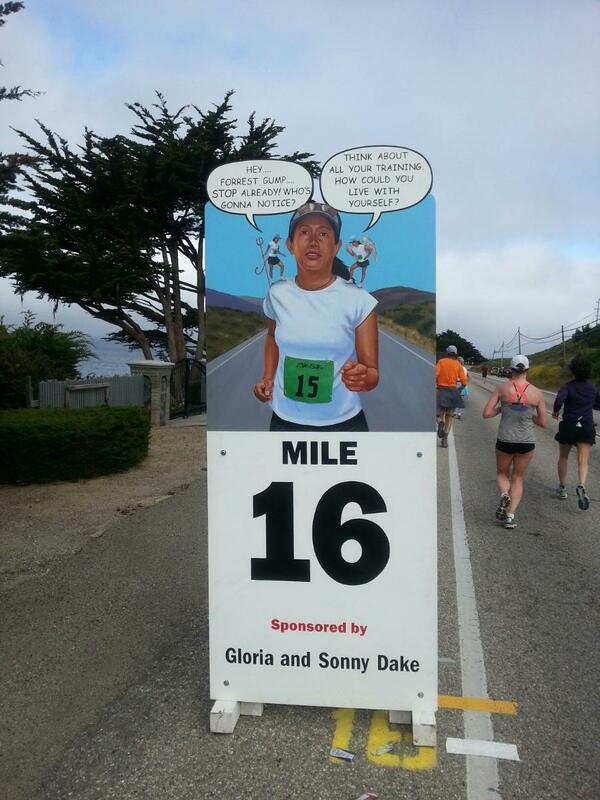 Before this race started I met a lovely lady who was running her first marathon. 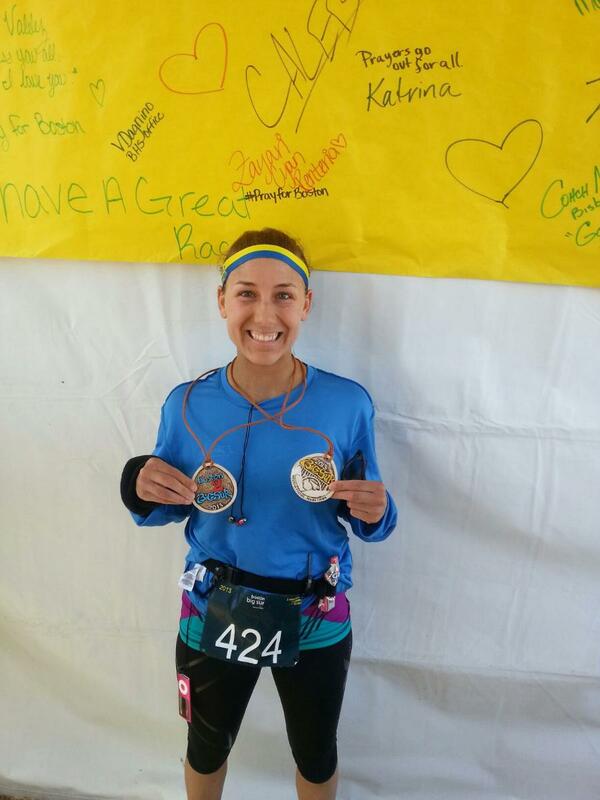 I was pleased to see that she met her goal and finished in less than 4 hours. Her time was 3:59. 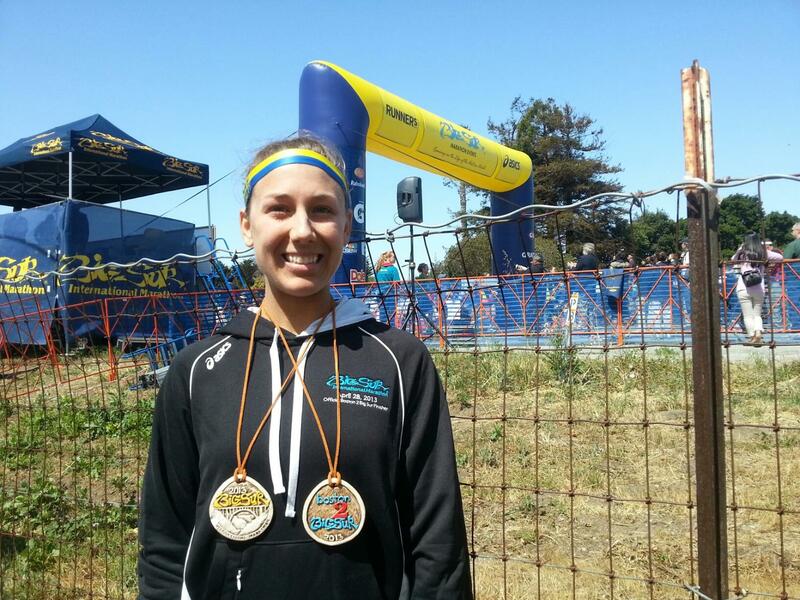 Had this been a Boston qualifying race, she would have qualified for her age group. I was so happy for her. I think I might take a break for a while! What races do you have planned for the summer? 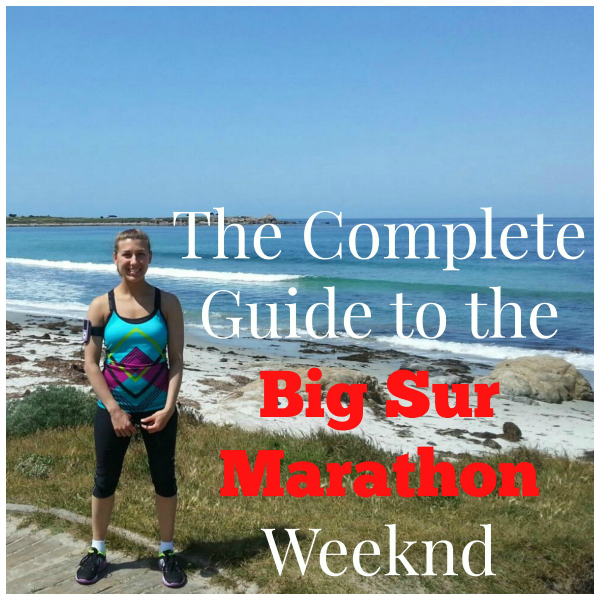 I am back from California and ready to share my experience at the Big Sur Marathon! Wednesday April 24- Travel day for me . Thursday April 25- Up bright an early and ready for a run. 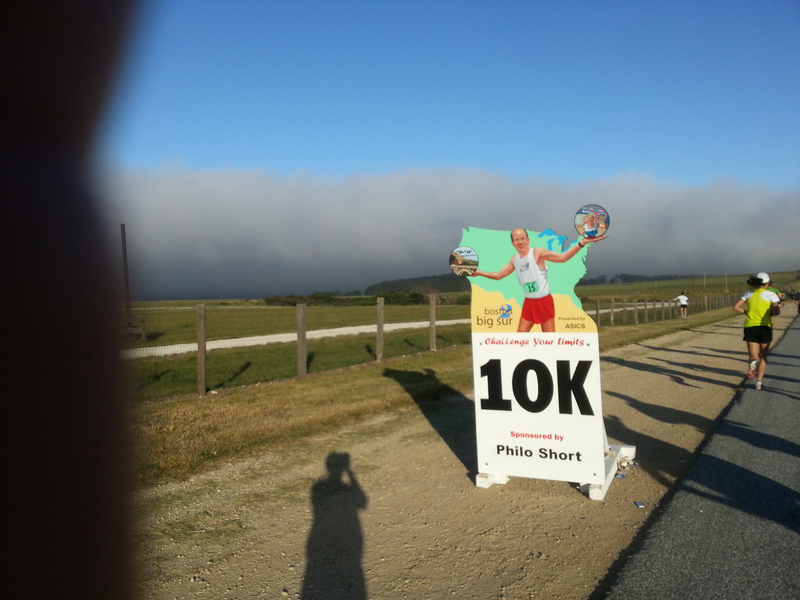 Ran along Pacific Grove Peninsula. The weather was great and the run was peaceful. I saw many tourist taking pictures and walking along the beach. 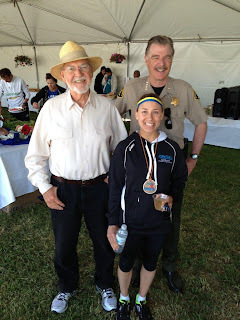 I was invited to attend the Carmel Chamber reception for the new Big Sur Race Director and kick off for race weekend later that evening. The reception was held at Homescapes, which was owned by the president of the Carmel Chamber of Commerce who also works hospitality and VIP functions for race weekend. This was a social event where I got to meet the famous “Piano Player”, listen to the Race Director speak, and was introduced to other board members and staff, and the caterer who provided the spread! 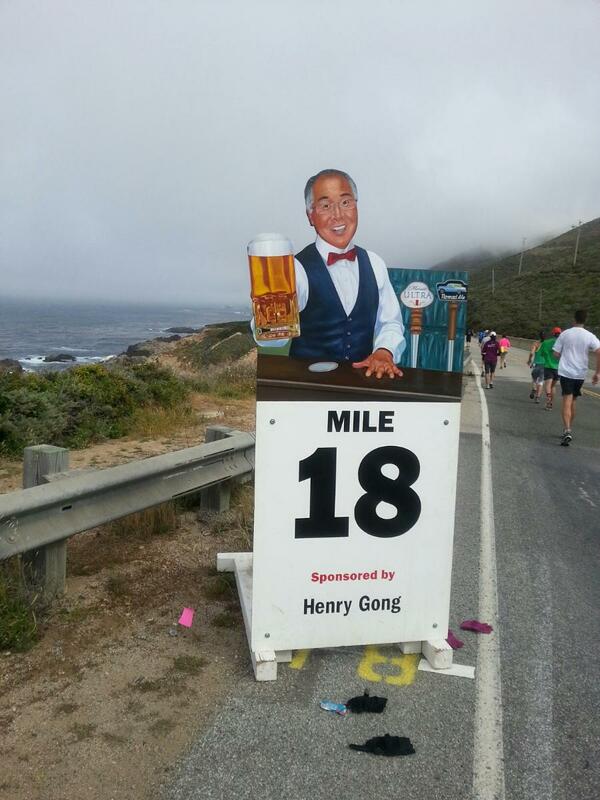 There was also a model of the famous Bixby bridge that we would be running across on race day. the course at the half way point. 3. President of the Carmel Chamber of Commerce, Thompson Lang. 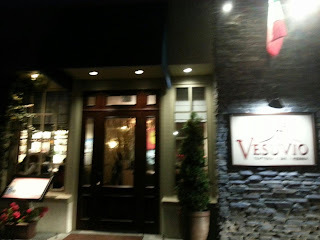 Later that night I was invited to go to dinner at Vesuvio. If you ever get a chance to visit Carmel California, I highly recommend this restaurant. The staff was friendly, the service was great, and we got right in with no wait! The atmosphere was very warm and inviting. 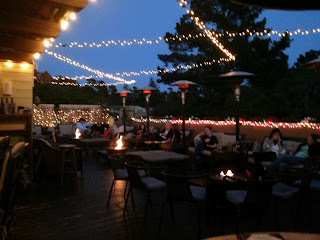 We were seated on the rooftop terrace amongst the glow of the fire pit and deck lighting. We started with a shrimp and avocado salad, the gnocchi, and then a goat cheese, basil, and pine nut pizza. Absolutely delicious!!!! After all that food, it was time to call it a night! 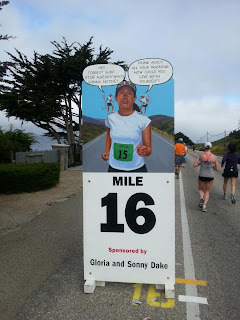 Friday April 25- Another morning up early and went for an easy run along pebble beach. On my way there I was amazed to see the deer freely running along the same path I was. They seemed so peaceful and not scared. I thought this was a beautiful sight because where I’m from, you don’t see this much. People always want to shoot deer, not let them roam carefree. Later in the afternoon I went to the race expo. 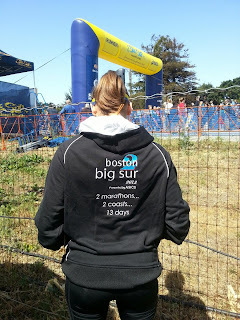 I helped out at the Big Sur booth that was accepting donations for the Boston tribute shirts and pins. A Boston tribute banner was created here as well. 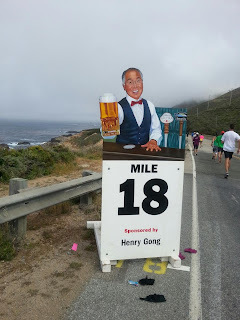 To see how Big Sur was paying tribute to Boston, see my other post here…………..
Also at the expo I picked up my race packet and pasta party ticket. This expo was not as big as the Boston expo, but I would say it was a little bigger than Disney. It was two floors. 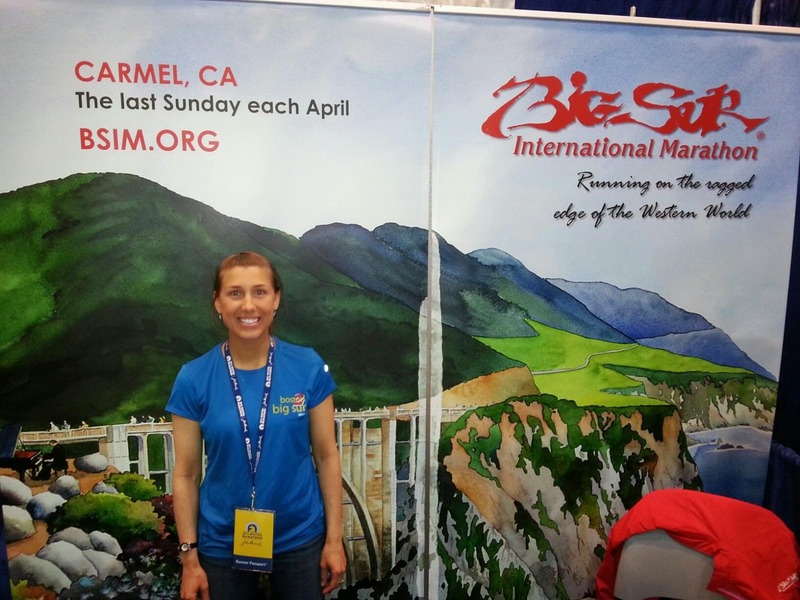 The large size of the expo may be attributed to how many races were going on that weekend. In addition to the Big Sur Marathon there was also a marathon relay, a 21 miler, a 10.6 miler, a 9 miler, 5K and a 3K kids run. It was nice to see all these race options available for all ability levels. I shopped first at the Big Sur merchandise area. I bought a cool pink Big Sur shirt, a white zipper down, and a pair of socks! The stand also sold some great Christmas ornaments with the Big Sur scenery. This was the Runner's World Challenge area. 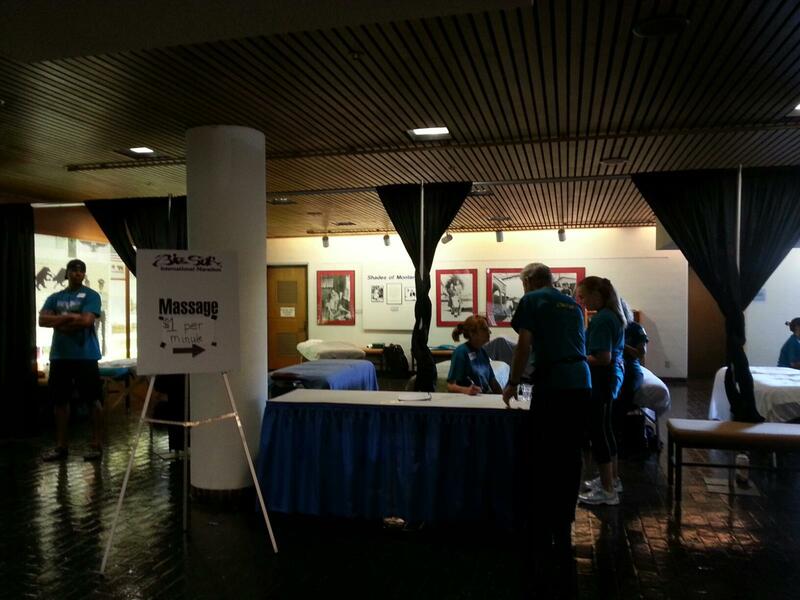 They had a massage booth. 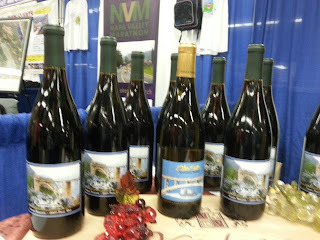 And some tasty Big Sur wine! After the expo on Friday, I did a little shopping in downtown Carmel. I stopped at a cute little wine shop and had a tasting. Along my way I ran into this little guy. Being a dog lover myself, I couldn’t resist taking a picture. His owner said he was exhausted from a long walk earlier. It made me miss my Labrador back home. I went back to the expo today and spent all day at the different clinics that were offered. Clinic title: What are your questions? 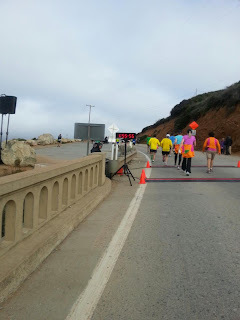 : This clinic was a panel discussion featuring Big Sur runners who answered questions on how to tackle the Big Sur course. The race director showed us a video of the course and told us what to expect and where to take caution. 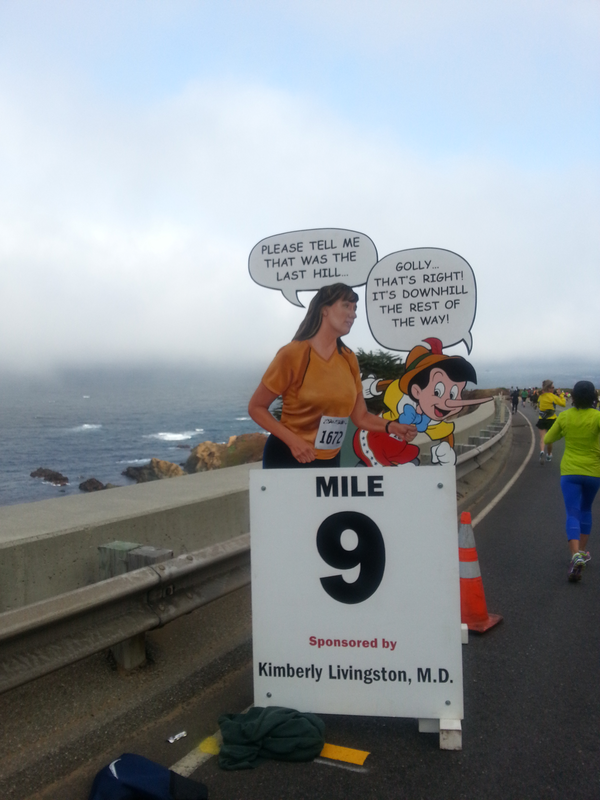 Other racers asked questions about attire and weather conditions. 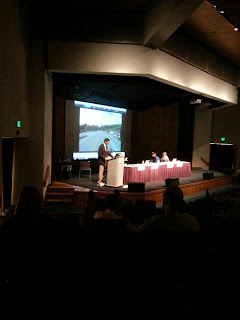 Clinic title: Bart Yasso: Bart is the chief running officer of Runner’s World. He spoke to us about his years of experience running Big Sur and how we can improve our time and still enjoy the race. Bart has run on all seven continents. He recognized all the B2B challenge participants by inviting us up on stage. Clinic title: Boston 2 Big Sur with Dean Karnazes: ( my buddy!) I was so excited to see Dean again after meeting him in Boston. He told some crazy stories such as the times he runs a marathon before getting his kids off to school, then doing speed work in the afternoon! He was a bit late for one of the earlier clinics because his flight was delayed. He had mentioned that if he would have just ran instead of taking the plane, he would have arrived on time! 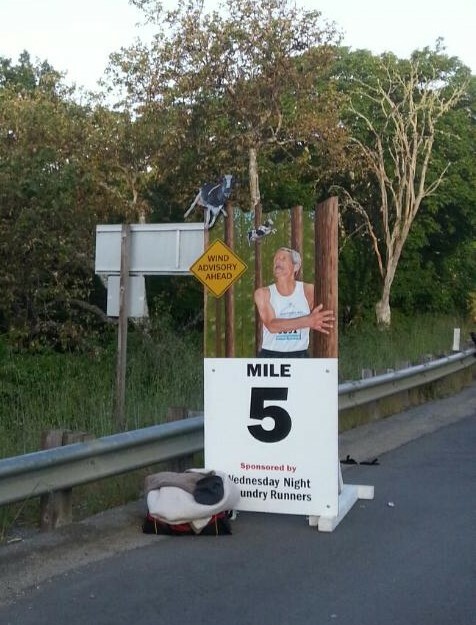 It’s not unusual for Dean to run hundreds of miles at one time. Crazy right? ( or is this dedication?) Topics Dean spoke about included how to stay injury free by cross training and how to have a clean diet. Near the close of the clinic he also recognized those of us who ran the Boston Marathon. He asked us all to come up on stage. 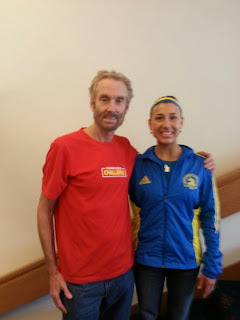 After the clinics, I got to speak with Amby Burfoot. Amby was the winner of the 1968 Boston Marathon and editor of Runner’s World. 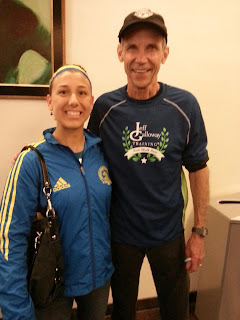 He was interested in hearing stories from the individuals who also ran Boston. It was nice to sit down with him one on one and share my Boston experience. He made me feel very comfortable while talking about this emotional time. He even requested that I send him a picture of me at the Boston finish line. The Big Sur pasta party was held at the Monterey Marriott. I met some great people at my table that were also participating in the B2B challenge. They told me their heartwarming stories about how close they came to the finish line in Boston but were unable to finish. In addition to a great meal of pasta, chicken, salad, and cake, we heard some pep talks through board members and directors. Race Day! For days prior to the race I was debating on what I wanted to wear. I heard that it might get warm mid race but in the morning it would be chilly. I also heard that when you get around Hurricane point it gets windy, so don’t discard that long sleeve shirt quite yet. While talking about attire at the clinic, it was suggested that arm sleeves would be a good choice. Unfortunately I left mine at home and I was too dang cheap to buy myself a new pair! So a long sleeve shirt would have to do. I wore the long sleeves in hopes that I would throw it away somewhere along my run once I became warm enough to just run in my tank top. 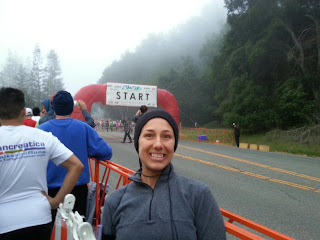 I also had a sweatshirt that I would wear and toss at the starting line. At my previous marathons I have always taken my own water bottle so I don’t have to stop at the water station. 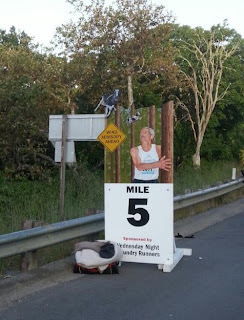 In my mind, I think this is my time to pass runners who end up stopping. 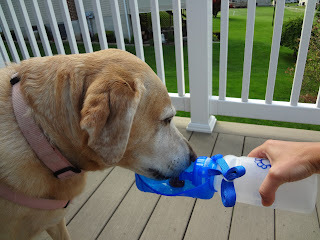 After recently reading a book about running and hearing about other runner’s hydration plan, I heard that it doesn’t take as much time to stop for water as I thought. Since I wasn’t doing this race for time and I knew there were plenty of water stops along the way, I thought I would try this method out. Besides, I was told to enjoy the scenery on this course. So this meant I either had room for the camera or the water bottle. The camera won! Shortly after being escorted to the start the national anthem played, we held a moment of silence for Boston, and then we were on our way! 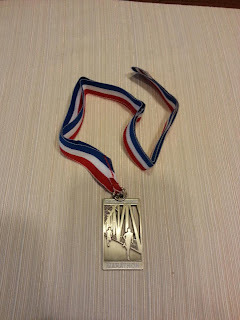 Having been proud of myself for my good time in Boston, I did not think that I would do as well on this course because of the many hills and change in elevation. I was told just like Boston, to hold back a bit the first half. Eventhough with all the hills, if we tackled this course smart, it didn't have to be so tough. Know when to take it easy uphill, then take advantage of the downhill parts. By the time I got to mile 5 I was getting pretty warm so I took my long sleeve shirt off, but I was hesitant to throw it because I remembered what I heard at the expo the day before and though I should save it in case it got breezy at hurricane point. Happy I kept it because by the 10K point I was putting it back on. I was in such a hurry to put the shirt back on that I accidentally put it on inside out. I didn't bother to fix it because I figured I would be taking it off again soon anyway. As it turned out, I ran the remaining 20 miles with the shirt on inside out. This was the first race that I ever took pictures during the run. I figured I wasn't going for a PR so I might as well enjoy the scenery. The farmer who owned this land sat out on his property to make sure none of the runners made a "pit stop"
26 miles to the Monterey Peninsula, 71 miles to Santa Cruz, 143 miles to San Francisco. Started to get chilly here, so put my long sleeve shirt back on. 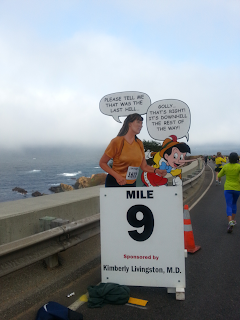 Of course Pinocchio is lying, this was NOT the last hill! 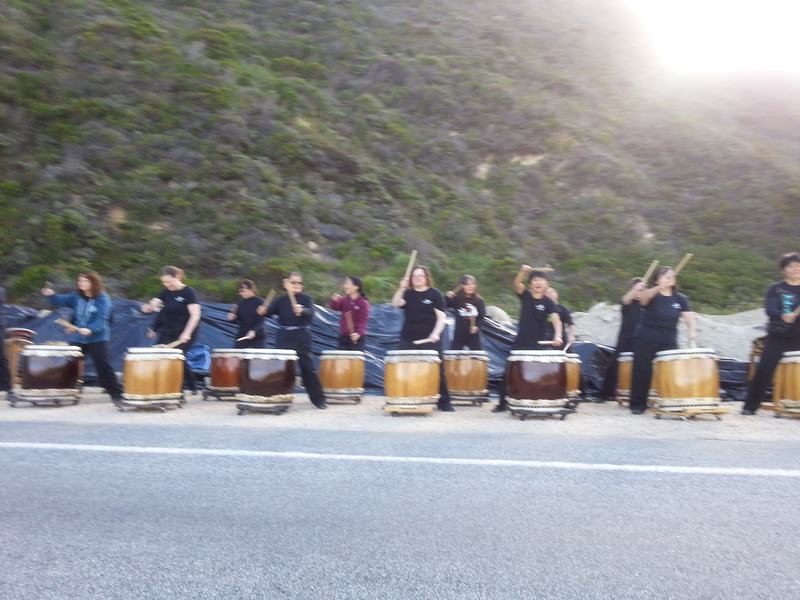 Taiko Drummers around mile 10. 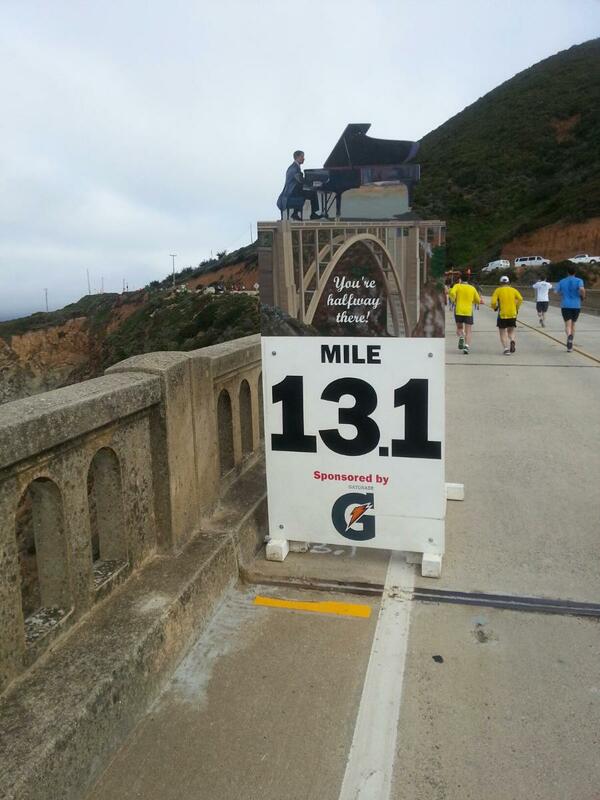 The piano player played the baby grand at the halfway point. After mile 19 I was hoping I didn't run into that "imaginary wall". I was still feeling good so I thought it may be time for me to stop taking pictures along the course and pick up my speed a little. With my B2B sweatshirt that was given to all participants doing the challenge and both medals. 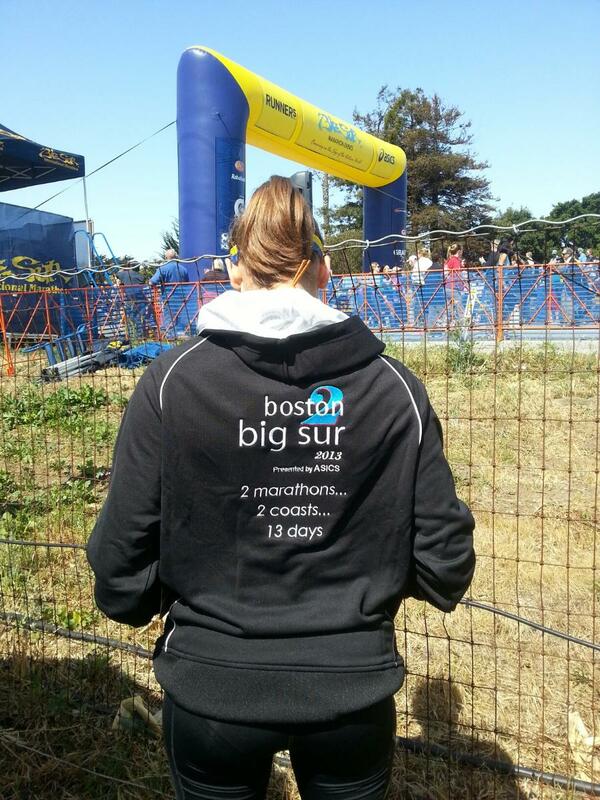 One for Big Sur and one for doing Big Sur AND Boston. 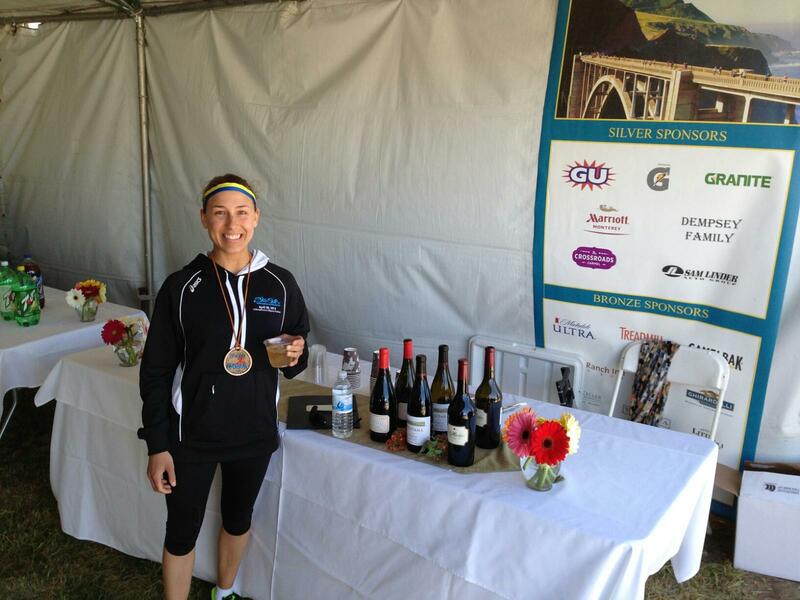 Wine at the VIP tent. With race founder Bill Burleigh and Monterey County Sherriff. 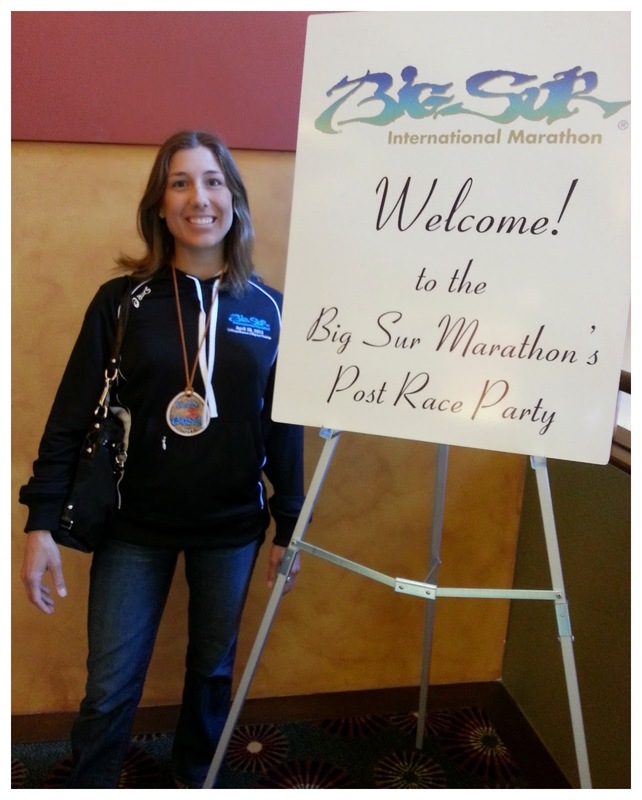 Later that evening I was invited to the Big Sur Marathon's Post Race Party. I definitely think this race should be on every runner's bucket list. Even though the course was challenging, the scenery made up for it. I want to thank the Race Director and all the volunteers for putting on such a great race and the events associated with it.